Welcome Bonus: Up to $/€500 in three stages. First deposit, 200% match up to $/€50 and 50 free spins. Second deposit, 100% match up to $/€200. Third deposit, 50% match up to $/€250. No Deposit Signup Bonus: 10 free spins on Starburst as soon as a player registers and validates their mobile phone number. Free Spins: Free spins are awarded with the welcome bonus (50) and for the no deposit bonus (10). Pocket Vegas is a new online casino with a great mobile app that lets players use their Apple, Android, or Microsoft mobile device for gaming enjoyment. It really is a little bit of Las Vegas in your pocket. Pocket Vegas has great slots, table games, and live action games with impressive jackpots and a nice set of recurring promotions. The welcome bonus at Pocket Vegas is a great deal. It has a 200% match on the initial deposit up to $/€50 as well as fifty free spins on Starburst! The second deposit qualifies for a 100% match up to $/€50 and the third deposit gives you a 50% match up to $/€250. The minimum is $/€10 for each of the three deposits. Winnings from the free spins are then added to players’ bonus funds. There is a 40x wagering requirement before funds from the bonus or winnings from the bonus may be withdrawn from an account. Thus, spin wins of $/€15 added to a matching bonus of $/€10 would require 40 x /$/€15 + $/€10) = $/€1000 in wagers before the bonus and winnings could be withdrawn as winnings. Also, Play for Free games do not count for the requirement nor do Roulette or Blackjack games. And, there is a long list of games for which bonus funds cannot be used starting with Dracula and Divine Fortune and ending with Worms and the Harley Davidson Freedom Tour. Last of all, the most a player can win from the bonus funds is four times the amount of the funds (bonus and spin winnings). When the 40x requirement is satisfied the bonus funds automatically convert into the player’s regular account. In order to receive 10 free spins on Starburst a player only needs to register and validate their mobile phone number! This bonus has a 100 x wagering requirement. In other words, a player will need to wager 100 x the value of the spins in order to withdraw any winnings. Also, the maximum a player can win is 4 x the value of the bonus spins. Besides the welcome bonus and free signup bonus, Pocket Vegas offers several other promotions all running simultaneously. As of this writing, there are the Free Spins Frenzy, the Monster Bonus 50, the New Year’s Resolution Bonus, and Weekend Bonanza. Although the specific bonuses will change from time to time, Pocket Vegas routinely has great bonuses on exciting games. In all cases there will be a minimum deposit and winnings based bonus wagering will be capped at four times the bonus amount. Look at the detail of each bonus to see which games are available and which are exempt from specific bonuses as this may change from time to time. The more you play at Pocket Vegas the more loyal you are and your VIP status will reflect that fact. Pocket Vegas aims to make the gaming experience even better for their VIP customers. If a player wishes to take advantage of Pocket Vegas VIP offers they should be reachable via email, text messaging (SMS), or by phone. They should also opt into the VIP program. This can be done most easily by contacting a Pocket Vegas team member by phone, email, or live chat at casino support. The requirement for Pocket Vegas VIP status is a minimum deposit of $/€2,000. Join once and remain a VIP member for life. You will be contacted by a Pocket Vegas account manager with your personal invitation. Here is a rundown of the VIP levels, associated deposits, and benefits. Lifetime membership, higher deposit limit, fast withdrawals, exclusive reloads, and promotions. Premier and Elite VIP members also receive weekly Loyalty which compensates unlucky play with between 5% and 10% in playable bonuses. As with all online casino bonuses, Pocket Vegas requires that a player wager their own money (forty times) before taking advantage of the bonus. And, as is common as well, there is a limit to bonus winnings (4x the bonus). Players can complete a “lite” registration which includes providing their username, and password, an email address, postal address, and their telephone number. This level of registration qualifies them for the free spins signup bonus. However, in order to complete registration, a player must make a deposit and may be required to provide a copy of a photo ID such a passport or license to drive. Other means of identification may be required as well by Pocket Vegas. These include the following. Bank or utility statement, no more than 3 months old with your name, address, and date. And, Pocket Vegas will want copies of documents showing proof of ownership of the account you used for your deposit. These documents must be clear and complete and must show the information requested by Pocket Vegas. For mobile phone payments with Boku or Zimpler you will need to provide a copy of your latest bill. When you deposit money in your Pocket Vegas account, no money is deducted with the exception of Boku mobile (15%). 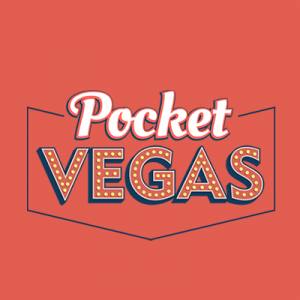 Payment options for Pocket Vegas deposits include VISA, MasterCard, Maestro, Neteller, Skrill, Skrill 1-Tap, boku, paysafecard, zimpler, PayPal, Giropay, Trustly, and Sofort. When you make a deposit your account will show the payment as having gone to Nektan. The minimum deposit is $/€10. And, be advised when depositing that due to Anti Money Laundering (AML) Regulations and Card Scheme Rules, players should plan to use the same means of withdrawal as they used for their deposit. The maximum daily deposit at Pocket Vegas is $/€10,000. Expect to be asked to withdraw your funds by the same means you used for your deposit. The minimum withdrawal is $/€20. The maximum withdrawal amount is $/€10,000. For your first deposit, you may be asked to provide identifying information. The withdrawal process starts when this information is received by Pocket Vegas. From that point, it will take Pocket Vegas up to 3 days to process your withdrawal. Once that is accomplished it can take between 3 and 5 days for the card issuer to transfer the funds to your account. The games are why you will want to become a player at Pocket Vegas. Because of the great mobile apps that these folks have, you will enjoy them whenever and wherever you wish. Pocket Vegas offers 17 slot games with jackpots ranging as high as $/€15,722,420.24. It lists 33 instant win games, 21 exclusive games, and 15 brand new games. Pocket Vegas lists 27 versions of Baccarat, Roulette, and Blackjack. For those looking for live action, Pocket Vegas offers 25 live games including Baccarat, Roulette, Blackjack, Dreamcatcher, Dragon Tiger, and Football Studio. 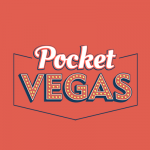 Its state of the art mobile app sets Pocket Vegas apart. Play whenever and wherever you wish with your Apple, Android, or Microsoft device as well as from your desktop or laptop computer at home. Pocket Vegas uses state of the art computer security measures to protect players’ personal information and their money. However, the weak link in the chain can be the user and his or her password. Pocket Vegas explicitly cautions players to keep their password login and password safe. In fact, they reserve the right to close an account if they believe that security has been jeopardized by theft or improper sharing of login information. If such sharing has been done in order to affect play and attempt to cheat the casino, Pocket Vegas reserves the right to take back suspect winnings. And, Pocket Vegas maintains separate bank accounts for customer funds that for their own operating expenses or other accounts. Thus, in the event of financial difficulties at Pocket Vegas, player funds will not be affected. The Pocket Vegas website is owned and operated by Nektan (Gibraltar) Limited. The Gambling Commission of Great Britain licenses for all players in Great Britain under Licence Numbers 000-039107-R-319400-014 and 000-041645-R320687-001. The Government of Gibraltar Licensing Authority (Licence Number 054) licenses the site for any and all other customers. Regulation of Pocket Vegas is by the authorities in Great Britain and Gibraltar. 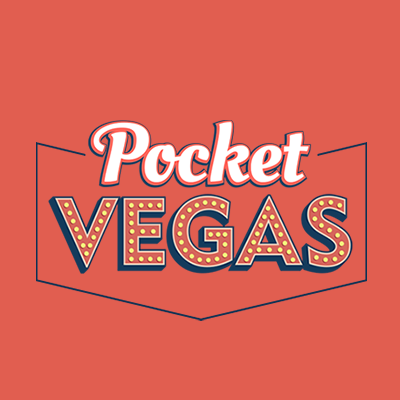 Customer support is available at Pocket Vegas from 8 am to midnight GMT (BST). You can call them at 020 3771 9985 or chat in real time. If you choose to send an email you may expect to receive a reply within 24 hours. Pocket Vegas has a nice welcome bonus with a 200% match on the first deposit as well as great ongoing promotions. Their security is top notch and they have an attractive VIP program. What stands out is their mobile app that lets players enjoy the excitement from anywhere using their mobile device. In our opinion, Pocket Vegas lives up to its name, it is a slice of Vegas in your pocket for casino fun on the go. Its mobile app lets players play using virtually any mobile device and they provide a nice selection of interesting and fun games. And, it is hard to beat a game with a jackpot in the $/€15,722,420.24 range!